FullSizeRenderHunting for grouse is one of the most exciting and rewarding hunting trips you can take. Pittsburg, New Hampshire has arguably the best grouse cover in all of New England. This particular area is a favorite among Northeast grouse hunters. While grouse hunting season extends through December, the best time for grouse hunting is late October. At this time you see some of the highest daily flush rates of all season. As the calendar turns to November, early snow can make it easier to track birds. Here are a few tips to help make your grouse hunting adventure a success. Think like a grouse. To find grouse, you need to think about where they would want to be. Look for areas that offer them protection from predators, a water supply and food sources. Fir trees offer them great protection. They love edges, such as areas where old growth meets new growth, or along logging roads. In our area, grouse love to feed on mountain ash, high bush cranberry, fern, raspberry, chokecherry and partridge berry. Act fast. You’ll usually find grouse amid dense cover, and when they move, they move fast. So every second counts. If you use a dog, get ready as soon as it goes on point. Have your gun up and be in a ready position as you move in on the bird. Practice shooting. For any activity, practice makes perfect. Shooting is no different. The more you shoot, the better you’ll get. For grouse hunting, improve your reaction time and accuracy by clay shooting. 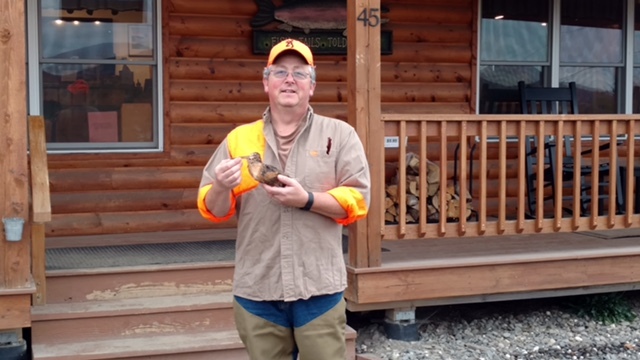 Have the clays thrown irregularly to mimic the unpredictable, explosive flight of a grouse. Consider the wind. Think about the direction the wind is blowing. You don’t want the wind at your dog’s back when it is using its nose to hunt. If you hunt into the wind, it will give you and your dog a better chance of finding birds. Train your dog. If you use a dog to hunt grouse, make sure to put in plenty of time to train it. The hours spent training might be frustrating and seem long and boring at times compared to the excitement of a hunt, but the reward of a well-trained dog will be worth it. Let the snow help you. Snow often comes early to northern New Hampshire, and, when it does, it’s a big help to grouse hunters. Snow makes it easy to track grouse, who have large, distinct tracks and often drag their tails. Take notes. Many skilled hunters keep detailed notes about their hunts as it helps them learn what works and what doesn’t. Think about the time of year and the weather conditions. Look around after you flush a bird and observe what it was using for food and shelter and any other reasons why it was there. Think about what you did right, and, perhaps more importantly, what you did wrong.